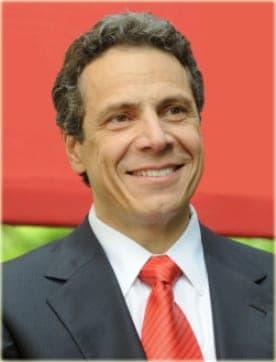 New York Governor Andrew M. Cuomo announced an ambitious plan to eradicate HIV in New York State by 2020 yesterday in a press release. Cuomo’s “Bending The Curve” initiative seeks to see a fall in new HIV infections to the point where the overall number of HIV infected individuals living in New York State is reduced for the first time. The Governor’s office is defining the end of the HIV epidemic as that point when “the total number of new HIV infections has fallen below the number of HIV-related deaths,” according to the press release. “Bending The Curve” focuses on three points of action in order to reach its goal: Identifying undiagnosed HIV infected persons, ensuring access to antiretroviral treatment, and providing access to Pre-Exposure Prophylaxis for high-risk, HIV negative populations. Cuomo’s plan would also streamline the process through which HIV tests can be requested during medical checkups and allow data gathered by the health department to be shared with healthcare providers minimizing the number of patients that go without care. In addition to providing the necessary medical support to curtail the epidemic, Bending The Curve also seeks to provide critical quality of life support, an often overlooked aspect of HIV treatment. With “[a] 30% cap of the proportion of an HIV patient’s income that can be spent on rent,” the plan aims at eliminating situations in which people are forced to choose between health care and having a place to live. “The goal is ambitious, but grounded in reality,” said Mark Harrington, executive director of the Treatment Action Group, an AIDS research and policy think tank. “[New York State has seen] an almost 40 percent decrease in new HIV diagnoses in the last decade, with fewer new infections each year, while nationally there has been no decline in the annual number of new HIV infections. The plan also represents a major financial investment for the State itself. In addition to a projected prevention of 3,400 new infections, New York would also stand to save some $317 million in health care costs.